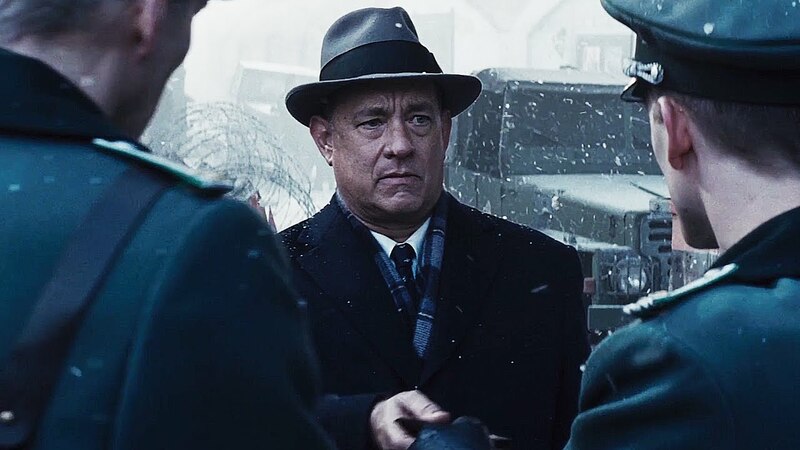 A dramatic thriller set against the backdrop of a series of historic events, Bridge of Spies tells the story of James Donovan (Tom Hanks), a Brooklyn lawyer who finds himself thrust into the center of the Cold War when the CIA sends him on a near impossible mission to negotiate the release of a captured American U-2 pilot. High stakes and suspense power a story inspired by true events that capture the essence of a man who risked everything and vividly brings his personal journey to life. The film stars Tom Hanks, Mark Rylance, Amy Ryan, Sebastian Koch, Alan Alda, Austin Stowell, Mikhail Gorevoy and Will Rogers and is presented in 1080p with DTS-HD Master Audio 7.1 surround. A CASE OF THE COLD WAR: BRIDGE OF SPIES – The story of James Donovan, Francis Gary Powers and Rudolf Abel encapsulates the Cold War era—a tense political climate shrouded in propaganda, espionage and the threat of nuclear war. This piece explores the characters and the real-life people they’re based on, ordinary men in extraordinary circumstances. Steven Spielberg and Tom Hanks share personal stories of the Cold War, describing how experiences from their youth were part of the attraction to the script, how this influenced the way they approached the film and why the history behind Bride Of Spies resonates across generations and is relevant in today’s political climate. U-2 SPY PLANE: BEALE AIR FORCE BASE – Showcases spectacular footage shot at the Beale Air Force Base of the U-2 plane and the scene where Powers and other pilots are instructed about their spying mission, including a cameo appearance in the film by Francis Gary Powers son, Gary Powers Jr. and discussion with the Air Force liaison about the significance of the scene and why they got behind the film. SPY SWAP: LOOKING BACK ON THE FINAL ACT – Steven Spielberg and his team stage the pivotal scene of the film at Glienicke Bridge, the very same location where the historic exchange of Soviet spy Rudolf Abel and U-2 spy plane pilot Francis Gary Powers took place. Gary Powers Jr. shares his memories of his father’s experience with voiceover recordings from Francis Gary Powers, as filmmakers and the cast recreate a page of Cold War history while filming in the presence of Germany’s Chancellor Angela Merkel. BERLIN 1961: RECREATING THE DIVIDE – A mix of behind-the-scenes footage with iconic archival imagery transports viewers to another place and time as the filmmakers construct the Berlin Wall, envision what it was like to cross through Checkpoint Charlie, and recreate the divide. On set in Berlin just days after the 25th anniversary celebration of the fall of the Berlin Wall, a historian who lived through the experience describes what being there means to her. In Poland, where the Wall was recreated for the film, tanks, hundreds of extras and powerful sequences make the setting feel epic and surreal.